Sign up to Orbis Australia’s newsletter to receive a free sample of the DU IT Tough Hands cream to help you sooth you dry skin. No ending date was listed. FREE U by Kotex Sample ! 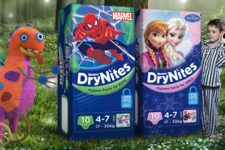 Free samples of DryNites Pyjama Pants!